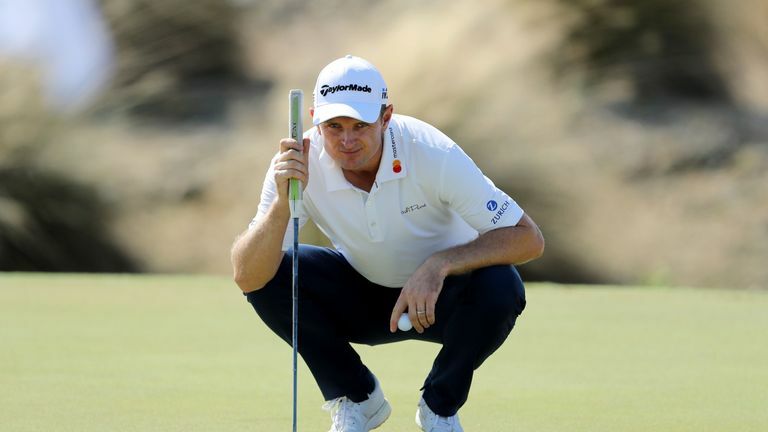 Justin Rose failed in his bid to end the year as world No 1 after a disappointing finish to the Indonesian Masters. Rose needed a top-16 finish to overtake Brooks Koepka at the top of the standings and a top-11 finish to ensure he would head into 2019 as world No 1, but ended the week in tied-17th. The Englishman started Sunday in tied-fourth spot but struggled to a three-over 75 at Royale Jakarta Golf Club, leaving him 14 strokes back from wire-to-wire winner Poom Saksansin. Saksansin posted a four-under 68 to claim a three-shot victory over Jazz Janewattananond, with Panuphol Pittayarat a further two strokes adrift in third ahead of Henrik Stenson. Beginning the day seven strokes off the pace, Rose bogeyed the first and double-bogeyed the next after two poor chips from the bottom of a greenside bank. Rose slipped further adrift with another dropped shot at the seventh but responded to post back-to-back birdies around the turn, before taking five putts from the fringe at the 12th to card an ugly triple-bogey. The FedExCup champion bogeyed the 13th to slip six over of the day, although birdied the 14th and closed his frustrating round with successive gains.